Supernatural crimes can’t always be solved by logic and reason alone. Imagine waking up in the middle of the night to the sound of someone calling your name. As soon as I read this part of the opening scene, I couldn’t wait to figure out what happened next. It was such an eerie way to introduce the characters who were involved in it. I appreciated being thrown into the middle of the action like this with little indication of what was going on or who I should trust. This technique worked well with the overall tone of this story. The plot often told the audience what was happening instead of showing it. These tendencies were especially noticeable in the final scene. It had all of the elements of a strong ending. Had there been more detailed descriptions of what was going on and more time spent showing how those events affected the characters, I could have easily given Witch of Death a much higher rating. With that being said, I was pleasantly surprised by what happened in the final scene. The twist wasn’t something I’d figured out ahead of time, so stumbling across it was a treat. It was especially interesting to read this section because this wasn’t the first tale I’ve read from Ms. Fey. I’ve been enjoying her career so far, though, and am quite curious to see how she writes the endings in her future books! 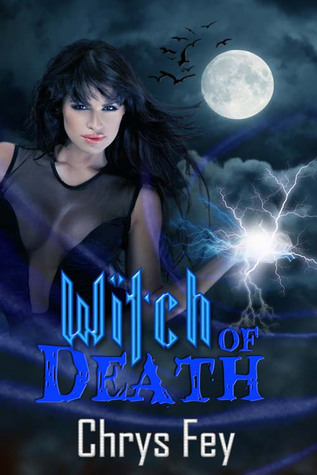 I’d recommend Witch of Death to anyone who likes seeing how the urban fantasy and mystery genres can be woven together.